In many personal injury cases, wage losses are an important part of the damages. In many workers’ compensation claims, vocational disability (either partial or total) is the essential issue. How do we prepare our clients’ wage or vocational claims? We often use vocational experts. What is a vocational rehabilitation expert? Vocational experts possess special training related to the labor market and the jobs which may be available given a person’s limitations or restrictions. Over the last two decades, I’ve questioned many vocational experts at trial. Too many lawyers attempt to cross-examine vocational experts using an argumentative style that gets nowhere. Big mistake. A lawyer who handles personal injury and workers’ compensation claims needs to understand the basics of vocational evaluations. This knowledge makes a huge difference in how much an injured client recovers by settlement or trial. If you are looking for a personal injury lawyer, make sure you ask if he or she has real trial experience using and questioning these experts. A skilled lawyer can often expose deceptive defense experts. This requires an understanding of the Dictionary of Occupational Titles (DOT). And, it requires a knowledge of how restrictions can impact a person’s ability to work. What are five common tricks used by defense vocational experts to harm your personal injury claim? The defense goal — paint the injured person as lazy or unwilling to work. Several years ago, I had a case where the defense expert claimed in his pre-trial report he had scheduled over 20 interviews which my client did not attend. I interviewed all the businesses and took depositions from the key witnesses. The reported interviews were all fake. And, the witnesses also testified they could never accommodate the physical restrictions of my client. We proved the expert a liar and won the case at trial. What jobs can an injured person physically perform? Physical restrictions and limitations are essential to this issue. Yet, some defense experts ignore key restrictions or limitations. Other defense experts ignore the opinions of the treating physicians and, instead, rely on a defense doctor who never actually treated the person. Your lawyer must know the medical evidence and be able to confront a deceptive defense expert on this issue. This deceptive defense tactic is frequently used in workers’ compensation cases. It often works because many lawyers don’t understand vocational matters. The physical requirements of jobs are often classified as sedentary, light, medium or heavy. The categories a person can perform make a huge difference in the number of jobs available. How do experts combine classifications? Here is an example: The patient has a severe lower back injury. The treating doctor assigns permanent restrictions of no lifting over 20 pounds and no sitting longer than 15 minutes at a time without changing positions. The lifting restriction places the person in the light category of labor. But, the sitting restriction eliminates many sedentary and light jobs. Many of these jobs require long periods of sitting. Instead of considering how the sitting restriction further limits activities, a deceptive expert might conclude the injured person could perform fully within the range of light work. This deception minimizes the person’s damages and disability. Many defense experts manipulate an injured person’s pre-injury abilities in order to impact the loss. How does the expert accomplish this? One example — falsely claiming the injured person has more education or training so that he or she can perform highly skilled sedentary jobs after the injury. Sedentary work is basically desk work. It requires only minimal lifting. Light and sedentary jobs are often the only positions a person with significant physical restrictions can perform. 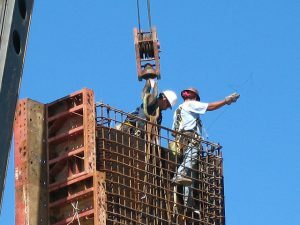 In cases where an injured person is restricted from any significant lifting, deceptive defense experts will testify the person can perform all sedentary work. Yet, if the person has other important restrictions, this may not be true. These additional restrictions may eliminate many other jobs within that category of labor. Additionally, many sedentary jobs require high levels of education. Yet, the deceptive expert may ignore educational barriers to this work. A discussion of vocational issues may sound technical or boring. Yet, wage losses can be a substantial part of an injured person’s damages. Many lawyers don’t understand employment issues. Have you suffered a job loss due to an injury? Do you want full compensation for that loss? If so, you need a trial lawyer who understands essential vocational issues.